Love British Food Fortnight is the ideal time to stop and really reflect on the food we are eating and the choices we are making. I’ve been writing the ‘you are what you eat’ message for over thirty years, and am still writing about it today in my magazine Liz Earle Wellbeing, but actually it’s more than that, it’s ‘what we eat has eaten’ that really matters. As a founding farming member of Pasture for Life, an association founded in 2009 that extols the wide-ranging benefits of producing meat from animals fed exclusively on pasture, I’m passionate about farming that shuns animals in barns, hard feeds and soya-­concentrates. And as a working farmer in the West Country I’m able to put my beliefs into practice on my own farm. Beyond incomparably better taste and nutrition, pasture-led farming is a way of helping the welfare of animals – ensuring they have happy lives living out in the fields and grazing pasture – and helping the environment. For all kinds of reasons, in the UK we need these animals on the land fertilising and enriching the soil. 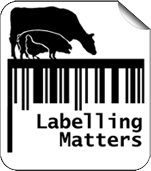 As sourcing straight from a farmer isn’t an option for everyone, better labelling by supermarkets would make a huge difference here for consumers and would help ensure more people buy meat from animals grazed in fields, not raised in barns. Ultimately, though, the power is in our – the consumers’ – hands. There’s so much access to information now, so there’s no excuse for us not to be conscious of what we’re buying and eating. Grass-fed shows the animal has been able to enjoy the grasses, wild flowers and herbs that are part of its natural diet, and that it has spent significant time outside with plenty of space. Organic means high welfare standards covering living conditions (always free range), food quality (no GM crops in the animal feed), the use of antibiotics (not routinely used), transport and slaughter. Outdoor bred: Breeding cows have access to pasture for their whole lives, and meat pigs until weaning. Outdoor reared: Breeding cows have access to pasture for their whole lives, and meat pigs for half of their lives. Pasture for life ensures the animal has had nothing but its mother’s milk and forage for its whole life. Free-range dairy comes from cows with the freedom to graze outdoors for at least six months a year and a diet of not less than 60 per cent forage. 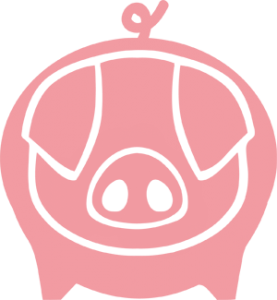 Free range pork: Free range pigs are born outside, in fields and they remain outside until they are sent for slaughter. RSPCA Assured animals have more space, natural lighting and comfortable bedding. The Soil Association logo is the ‘gold standard’ of all certification bodies and indicates the highest level of animal welfare. It appears on 70 per cent of all organic produce in the UK.